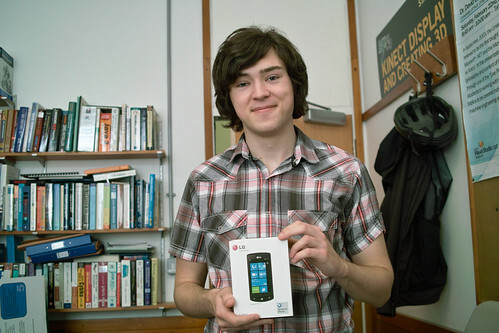 Joseph Appleyard came into the office today to pick up his prize for the greatest number of Windows Phone Marketplace downloads up to July. I’ve got another phone to give away at the end of August. If you didn’t win this time, and are still a Hull student, you can enter then. Don’t forget.